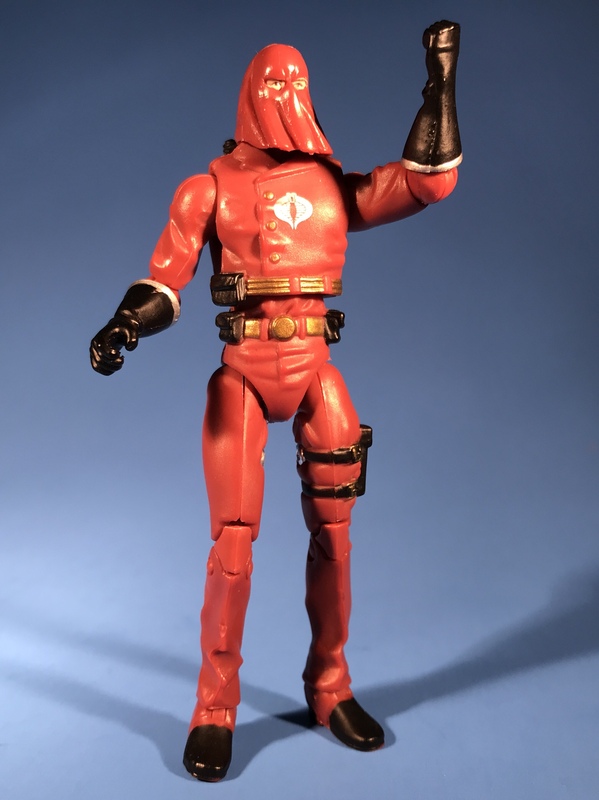 A Crimson Cobra Commander. Why not? After all, every good totalitarian madman needs to match not only his legions of jackbooted thugs, but also his elite, more stylishly dressed personal guard. The forces of evil, though they’re always wrong and ultimately vanquished by the forces of good, are nevertheless style mavens of the highest order. Cobra Commander, even from the first issue of the GI Joe comic, has been a man who dresses to the nefarious nines. 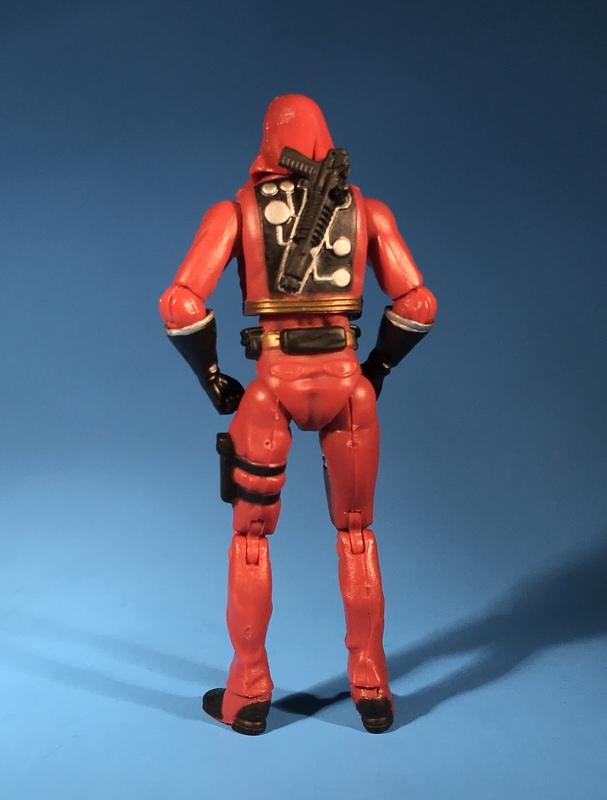 The Toys R Us Senior Ranking Officers sets offered up sets of theee Cobras and Joes, each with a high ranking or well-known character. The Cobra set included the Commander along with a CG Officer and Trooper. 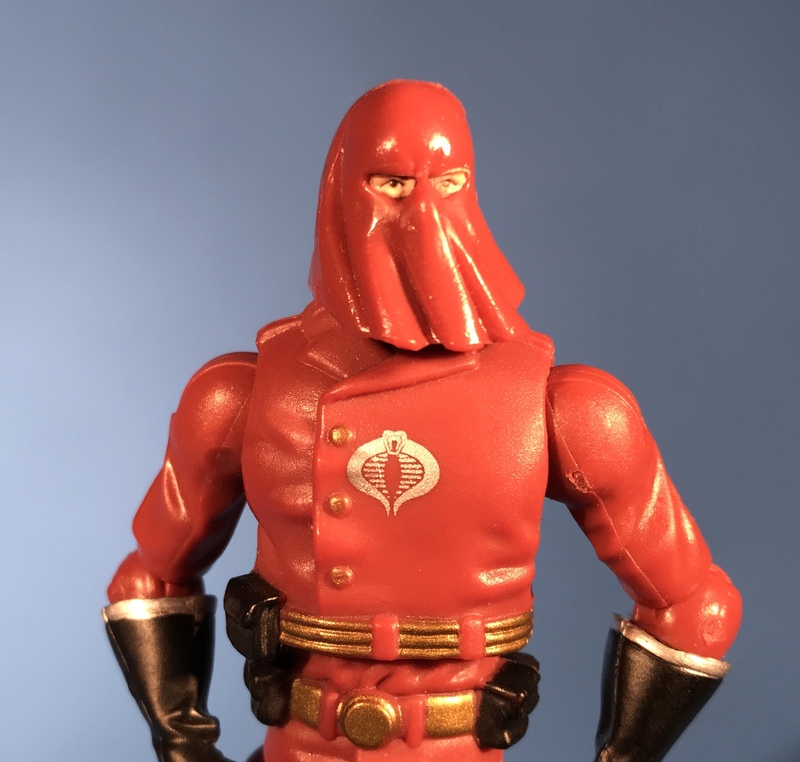 This isn’t the first Crimson Commander—that honor belongs to a 2005 figure based on the modified Talking Battle Commanders mold. Though this first 25th anniversary mold of the character isn’t the greatest when compared to later releases, I can look past the faults thanks to the unique color scheme. I’m also a sucker for the hooded look.